KATHMANDU, Jan 31: On Monday, the gold price reached 62,200 per tola (11.333 grams) up from 61,500 per tola – the market price of the previous day. The gold price has increased by 1.63 percentage points, from Rs 61,200 to Rs 62,200, this week. Meanwhile, the monthly and weekly price change also shows a similar trend. The gold price in the beginning of the month was Rs 61,000, which has increased by 1.97 percentage points to Rs 62,200 on Wednesday. 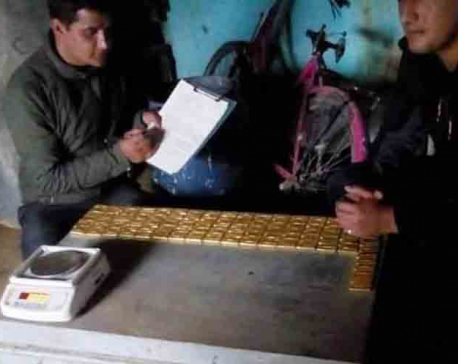 Official from of the Federation of Nepal Gold and Silver Dealers Association cited increasing international gold prices and depreciating Indian currency as factors that have influenced the recent market price of gold. The official also added that the demand for gold has been decreasing as a result of increasing price. The market price for the precious metal follows suit of Wall Street in terms of price. The gold price in the international market has hovered between US$ 1,283.25 to $1,311.95 per ounce. A considerable spike in price of gold was seen on Friday as the price increased from $1,281.30 to $1,304.30. Experts say that the price of gold has been increasing for the past week in the international market due to weakening dollar as a result of heightening trade tension between two economic powerhouses: China and the US. 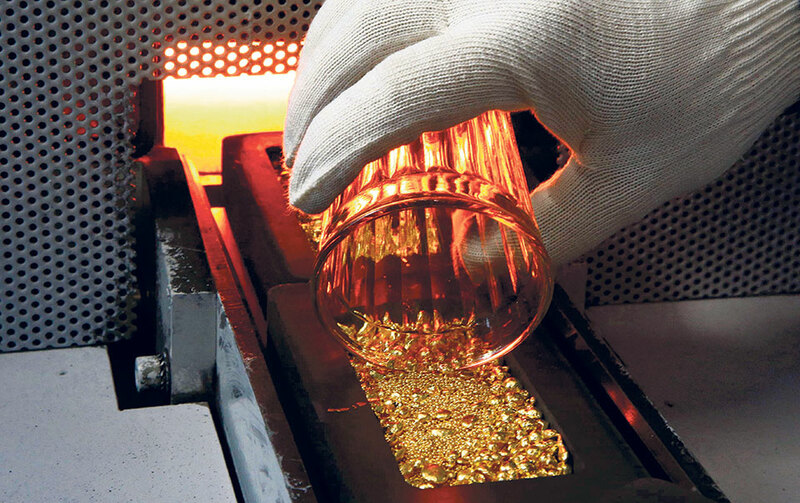 According to Shakya, the demand for gold during the festival season used to be between 50-60 kilograms per day in the past, whereas, this year the demand has decreased to as low as 40 kilograms. Shakya speculated that the trend was due to changing cultural values, increasing price of gold and stagnant wage rate across the Nepali economy. The highest price gold has fetched in the domestic market was Rs 63,300 per tola, in August 2012. The price had later plunged to a record low to Rs 47,700 per tola.